The Fool on the Hill: Are we going to allow Andrew Stoddart to be thrown out of his home for activism? Are we going to allow Andrew Stoddart to be thrown out of his home for activism? 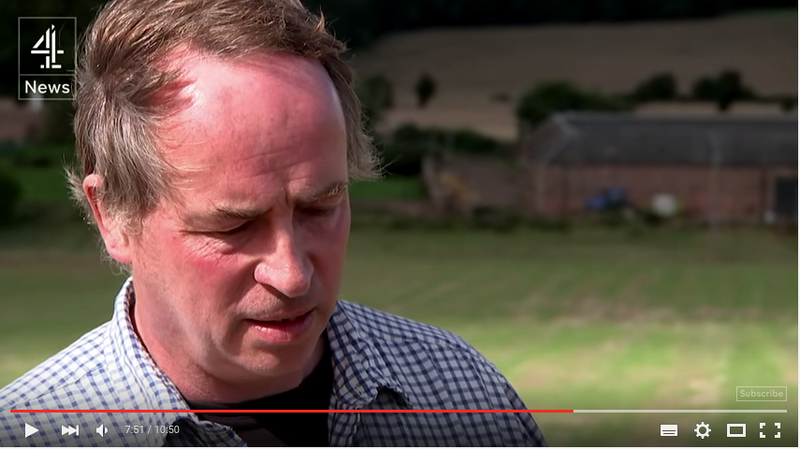 Andrew Stoddart - whom many of my friends will remember from the Birnham workshop - is being evicted from his farm at Coulston Mains just outside Haddington. I think there's no doubt that he's being evicted because of his land reform activism, and because of his activism within the Scottish Tenant Farmers' Association. It cannot be tolerable that a man can be turned out of his livelihood and his home because of his political views: that has to be an affront against any idea of democracy and freedom of speech, whatever you think of the legitimacy of land ownership. This is urgent. Andrew is being evicted on the 28th of November. Not only will he and his family lose their home and income, his tractorman's family will be losing theirs too. I'm trying to assess how many people are prepared to how much effort into defending him. Obviously, we can only do things which Andrew and his family are comfortable with. At present I think that means, from the brief exchange I've had with him, that we can lobby parliament and politicians generally, and that we can picket his landlord's lawyers, who are Turcan Connel. Alex Thomson's excellent piece on land reform covers Andrew's case: watch it here; the segment on Andrew starts at 6 minute 36 seconds in. The Scottish Tenant Farmers' Association have a press release on Andy Wightman's site here. (b) any general partner becomes the tenant (or a joint tenant) under the tenancy in the partner’s own right,if the general partner gives notice to the landlord within 28 days of the purported termination of the tenancy or within 28 days of the coming into force of this section (whichever is the later) stating that the partner intends to become the tenant (or a joint tenant) under the tenancy in the partner’s own right. In other words, under the Scottish act, tenants have security of tenure even if they were limited partnerships. The Supreme Court ruled that this is incompatible with the landowner's rights to property guaranteed by the European Convention on Human Rights. The court, in their infinite wisdom, seem to give no thought for the tenants' rights. It seems to me that it is probably this judgement that is making the SNP so knock-kneed and generally useless on land reform. Attend the Rural Affairs Committee's meeting in Dumfries on 2nd November, and give the politicians a hard time about it. I'm not saying we should do all these things. I'm just floating ideas. It would be better to do one thing really well than half a dozen things badly. There may be something I haven't thought of which would be better. But what I'm trying to do is assess how many people are prepared to do something now to defend first Andrew, his family, and his tractorman's family, and to defend the right of the Scottish Parliament to determine the limits on the right to property in land in Scotland. Are you in? If so, please respond. And please feel free to link to or copy this message on any mailing list or social media you choose.